The TC6501 through TC6504 are SOT-23 temperature switches that require no external components and the design is facilitated with factory programmed temperature thresholds. A choice of factory-trimmed temperature trip points are available. Pin selectable hysteresis of +2°C or +10°C allows flexibility to the design. These parts typically consume only 17µA of current and operate over the entire –55°C to +125°C temperature range while offering accuracies of ±0.5°C (typ) and ±4°C (max). 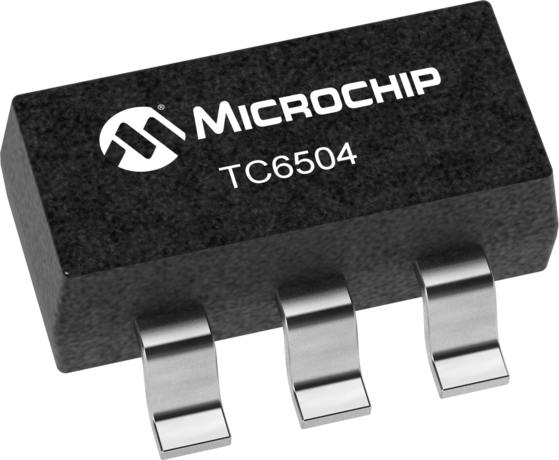 The TC6501 and TC6503 offer an open drain, active low output, meant for microprocessor reset control. The TC6502 and TC6504 have a CMOS, active high output designed to drive a logic level MOSFET to turn on a fan or heater element. The TC6501/TC6502 are aimed for hot-temperature monitoring (+35C to +115C). These devices assert a logic signal when the temperature goes above the threshhold. The TC6503/TC6504 are aimed for cold-temperature monitoring (-45C to +15C). These devices assert a logic signal when the temperature goes below the threshhold. The TC6501 through TC6504 are offered in five standard temperature thresholds. Available in 5-Pin SOT-23A packages, these parts are ideal for applications requiring high integration, small size, low power and low installed cost.